Since Friday, owners have discontinued power supply to the towers. 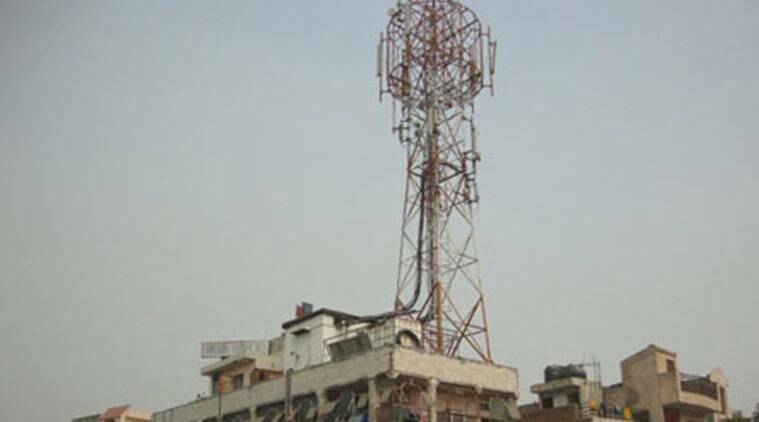 The Noida Authority has granted reprieve to house-owners in residential areas who have installed cell-phone towers on their roof-tops, and said “no coercive action will be taken against them”. The authority asked the owners not to disconnect the electricity supply to the towers. Since Friday, owners have discontinued power supply to the towers — which could lead to a possible shut down of “525 mobile towers” in Noida’s residential area — after the authority issued a notice asking them to do away with the towers due to health hazards caused by emissions. Else, the notice said, their land lease would be cancelled. “However, we had a meeting with the association of the operators and equipment manufacturers on Friday. After listening to their grievances, we decided to allow them a representation within a week. We urge the house-owners not to panic as no coercive action will be taken based on the notices sent earlier,” Panwar said. However, Noida Residents Mobile Tower Association president Satish Batra said the authority needs to give the new orders in writing otherwise they will not resume electricity supply. According to Batra, till Sunday evening, 200 out of 525 towers mobile towers have been down. “We received the notices a week after it was issued. Moreover, the letters asked us to respond in a week’s time, which has passed. Technically our land-lease stands cancelled unless we stop electricity supply. We do not want to take any chances,” Batra said. He added that owners are sandwiched between the mobile tower operators and the Noida Authority. Meanwhile, the association of operators and equipment manufactures say they are “indirectly” involved as the matter pertains directly to the owners. “We are indirectly involved as the letter sent to the house-owners says they cannot conduct commercial activities in residential areas as it is in contravention to the lease agreement. The health risk is not the subject here,” Rajan S Mathews, Director General of Cellular Operators Association of India, said. Mathews said during the meeting on Friday with Panwar, the association was asked to bring in studies to establish that there is no correlation between health hazards and cell towers. However, the Federation of Noida Residents’ Welfare Association (FONRWA) believes that there are health risks. President of FONRWA, N P Singh, said, “The owners earn a good amount of money from the towers, and are not concerned about the problems emanating from the radiation.